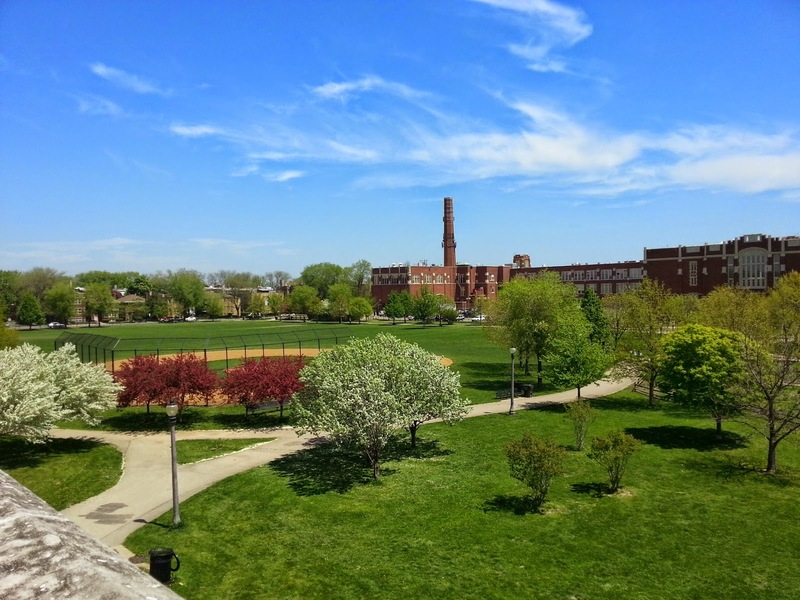 The Friends of Winnemac Park board is working to bring more of the popular Movies in the Parks to Winnemac Park in the Ravenswood neighborhood for summer 2015. The board has tentatively secured funding for additional screenings in addition to the CPD allocated movie night. The added events will give more families a chance to enjoy a night out in the park! Official dates to be determined. Friends of Winnemac Park members and supporters identified Movies in the Parks as an excellent and accessible way to offer more events for the greatest amount of park users. Other current efforts at monthly meetings include: better promotion of programs to the community at large and hosting a large cycling event starting/ending at Winnemac Park (similar to the Ravenswood Run 5K). Please contact info@winnemac.org to volunteer, take on a Board leadership position and/or support programing and events at Winnemac Park. It's a great way to make connections and preserve a very special neighborhood asset. 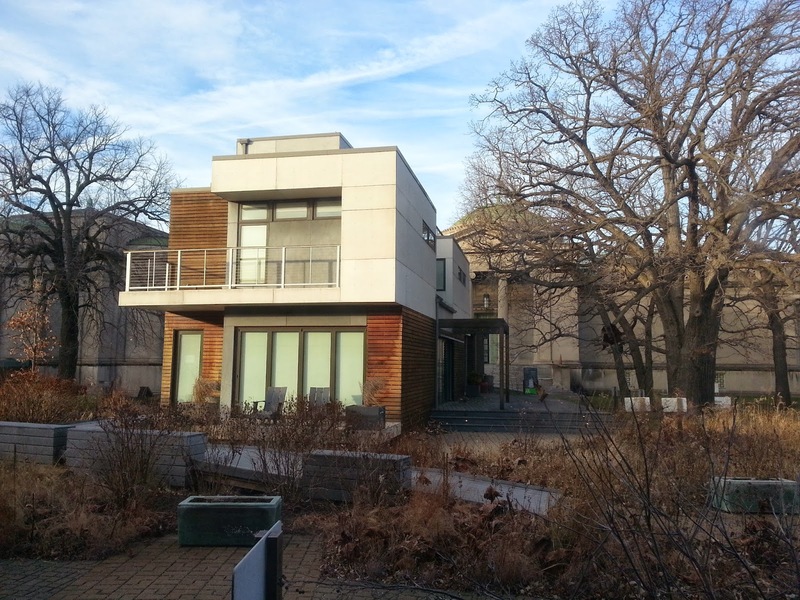 The next monthly meeting is Tuesday January 20th, 6PM at Dolce Casa Cafe 4947 N Damen Avenue. As some of you know I have been involved in volunteering at Winnemac Park and St. Matthias School in the Ravenswood neighborhood of Lincoln Square among other activities. 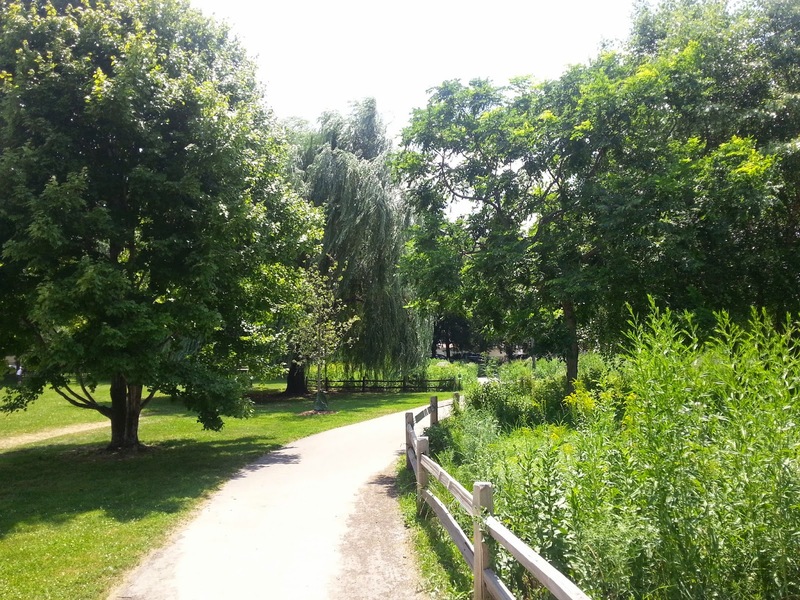 The area around Winnemac Park is a great place to live. 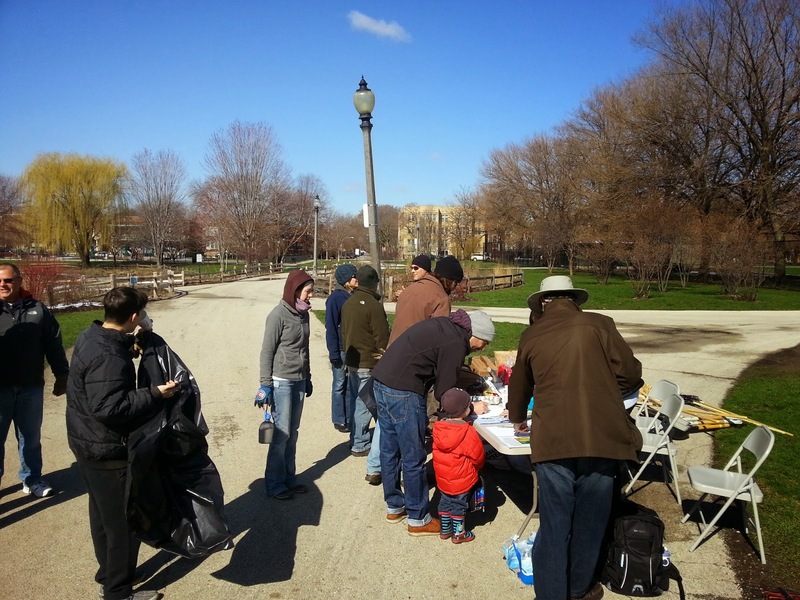 If you have time of resources to give to Winnemac Park, please contact me! 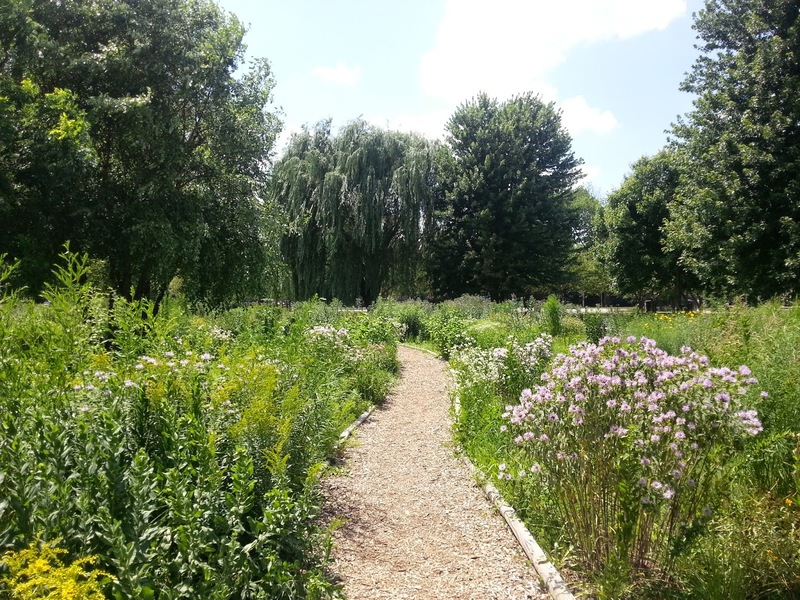 We have clean-up days, park programming, communications, monthly meetings and more that need community support. I've pretty much "checked out" over the last two weeks for anything healthy or exercise related. 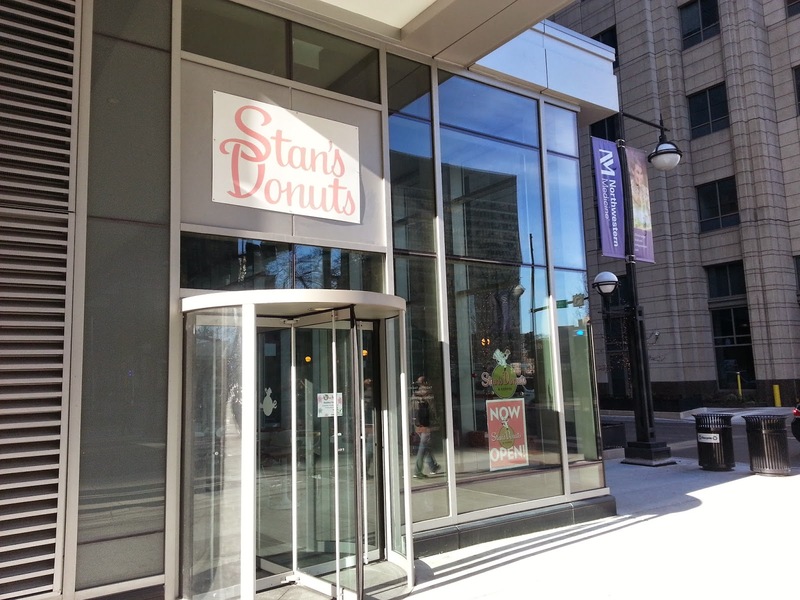 That made stumbling on the Streeterville Stan's Donuts and Coffee double awesome. I could not help but to stop in last Friday on my way to meet my wife for lunch near Ann and Robert H. Lurie Children's Hospital of Chicago and the Northwestern Medical campus. 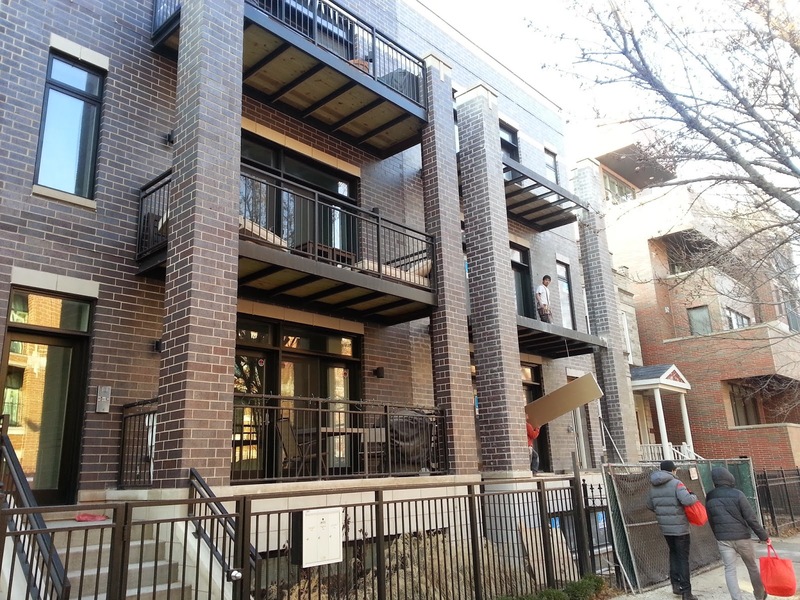 The story in 2014 for Lincoln Square community area home sales was strong demand, low inventory. We may have seen a record sales price for a new construction home on a 37' x 125 lot size at $2,042,408. As of December 26th, 94 single family homes closed with a median price of $565,000. 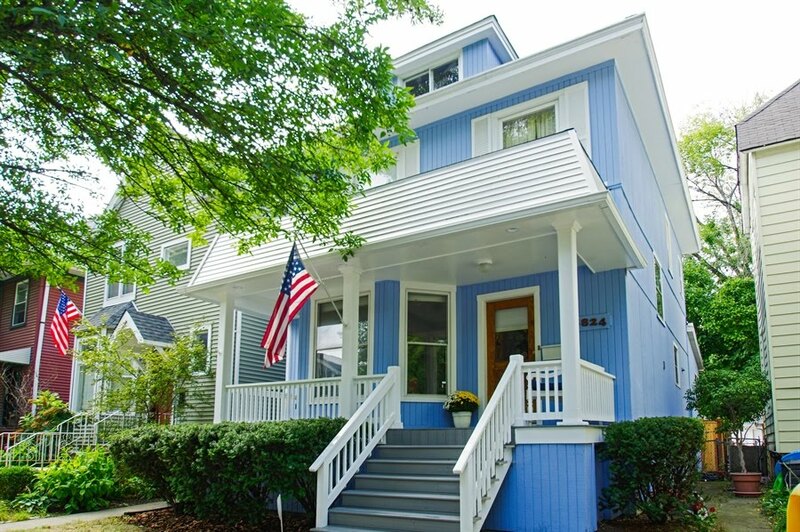 123 homes closed for a median price of about $575,000 in 2013. All Top 5 homes were new construction and built on 37' wide x 125' long lots (standard lots are 25' x 125'). 2030 W Leland is currently PENDING closing asking $1,649,000 and could crack the Top 5 if closed over $1,640,000 by year's end. 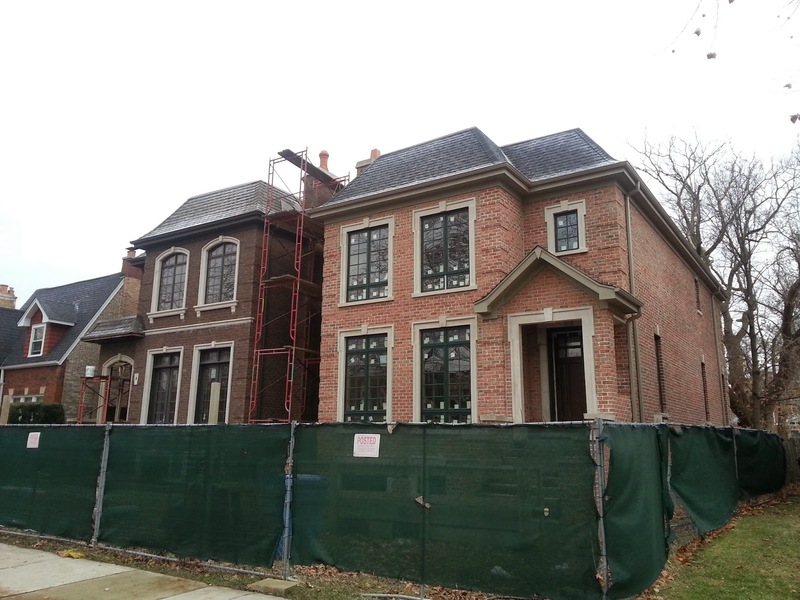 The Top 3 sold houses were developed by Landrosh Development, LLC Lincoln Square's most prolific new house builder. 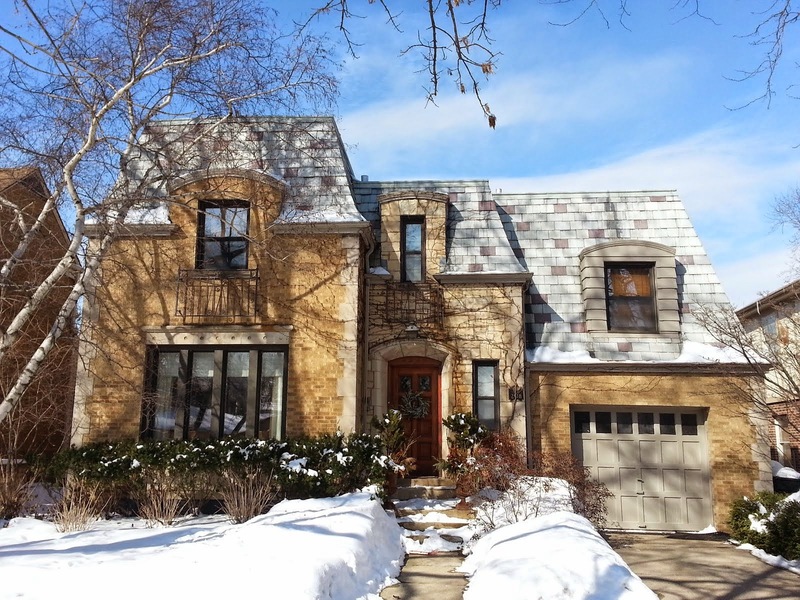 15 Lincoln Square homes sold over $1,000,000 thus far in 2014. In 2013, 15 homes sold over $1,000,000 as well over the same period. 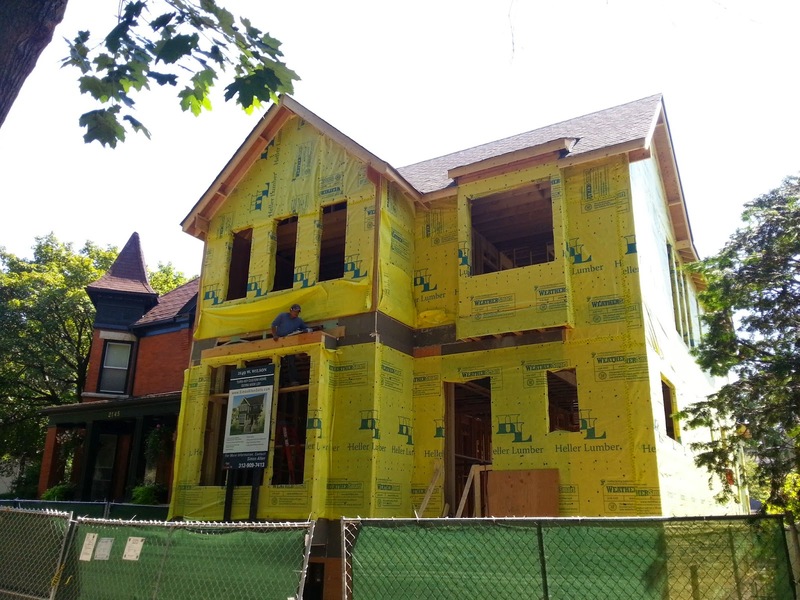 I noticed these two new construction homes still sitting unfinished on the 6200 block of North Lenox in Edgebrook since 2008. 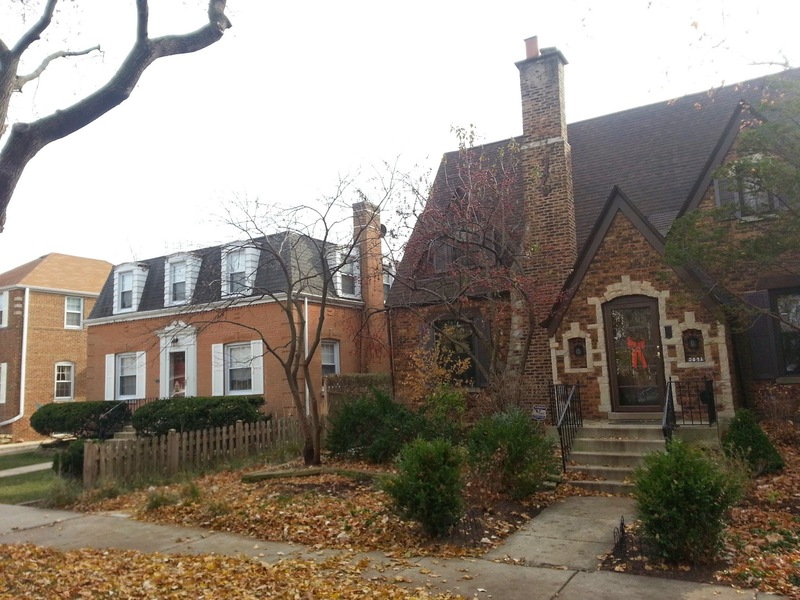 The several blocks of this southeast Edgebrook location is better known for unique original build homes from the 1920s through the 1960s. New construction happens but rarely side by side like this. The last sale on the lot was in 2005 for $605,000. 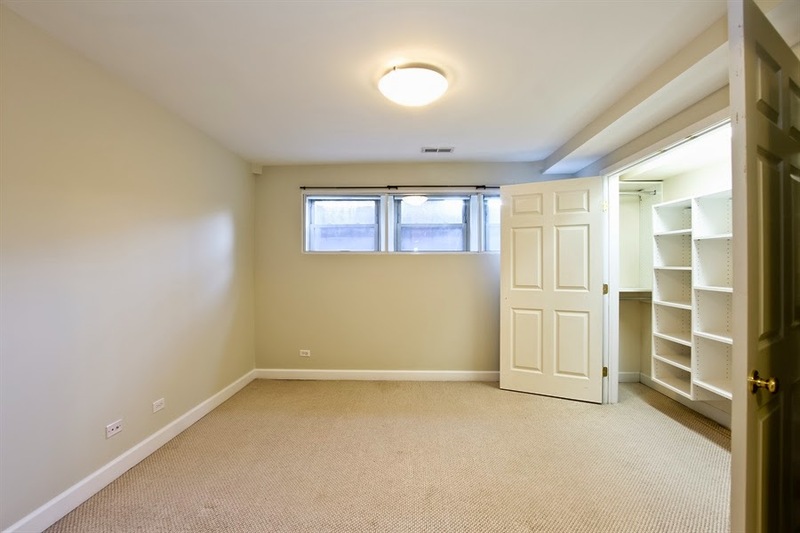 The only listing for the homes on the MLS appeared for 120 days in 2008 as 6232 N Lenox, Chicago IL 60646 asking 749,900. Property records show a lis pending mechanics lien on the property. These drawn out situations are always a shame. 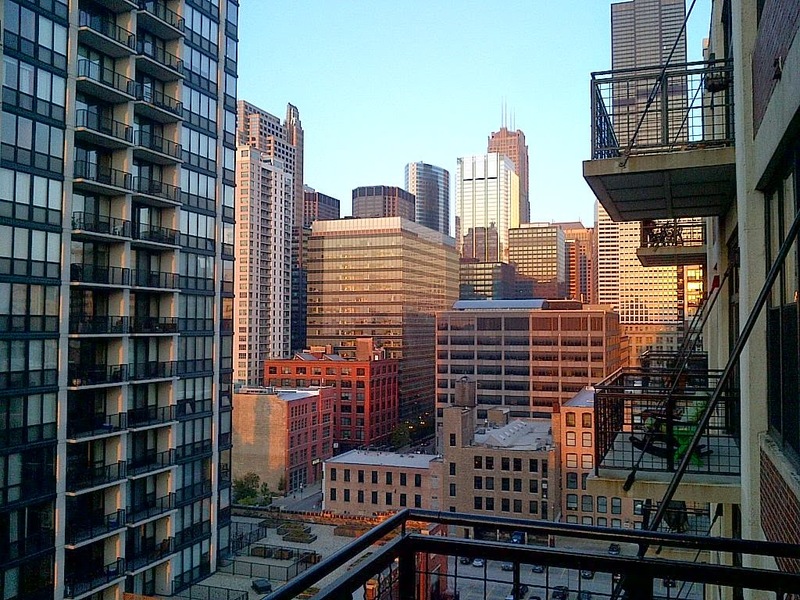 We need housing (especially relatively affordable housing) to keep city neighborhoods vibrant. If anyone has photos of the original property that sat on the lots please send them to erojas@kalerealty.com and I'll update the post. I'm working this morning from Streeterville at my regular Starbucks at 401 East Ontario. 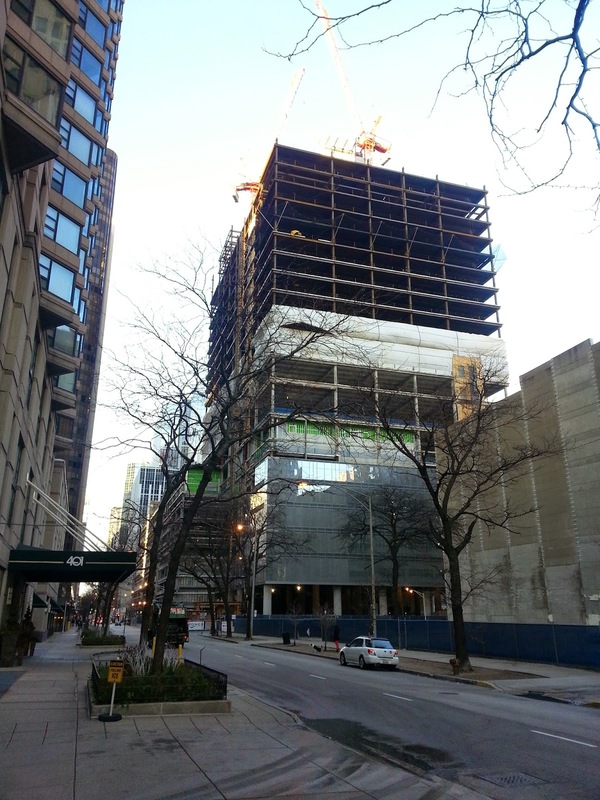 The new construction Rehabilitation Institute of Chicago is taking shape. 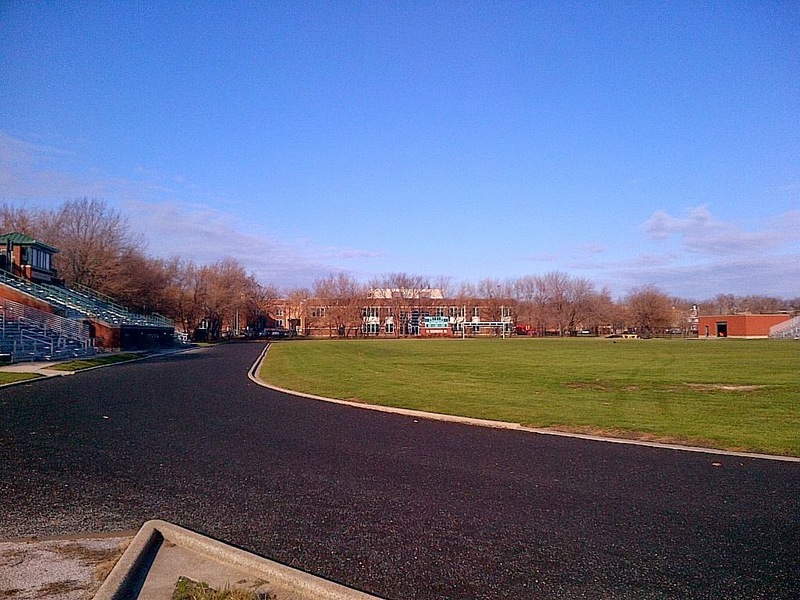 The lot, home to a 1924 building once occupied by CBS, had been vacant since 2009. The new building sits on the opposite northwest corner of my Starbucks perch and blocks my view of Lurie Children's Hospital (where my wife works). Minor consideration. The RIC bought the lot back in 2009 when I imagine they got a pretty good deal. 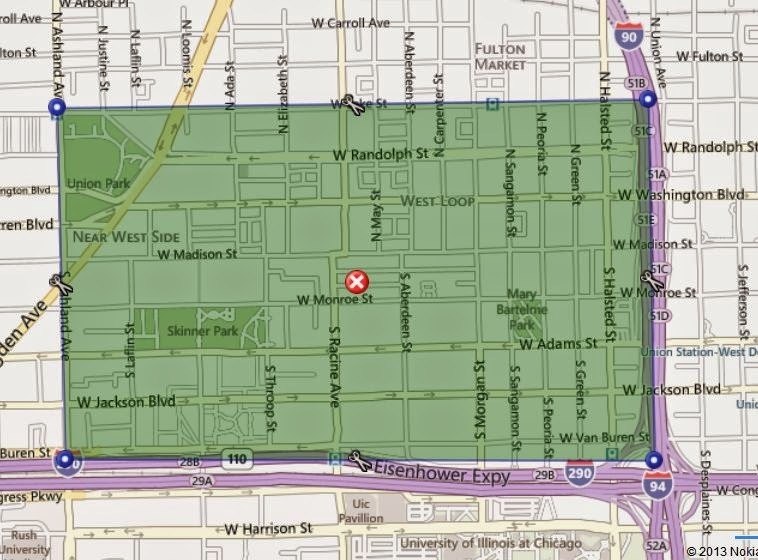 Rehabilitation Institute of Chicago will remain close and connected to the top medical hub with Northwestern University medical campus, Ann and Robert H. Lurie Children's Hospital and various associated medical offices. 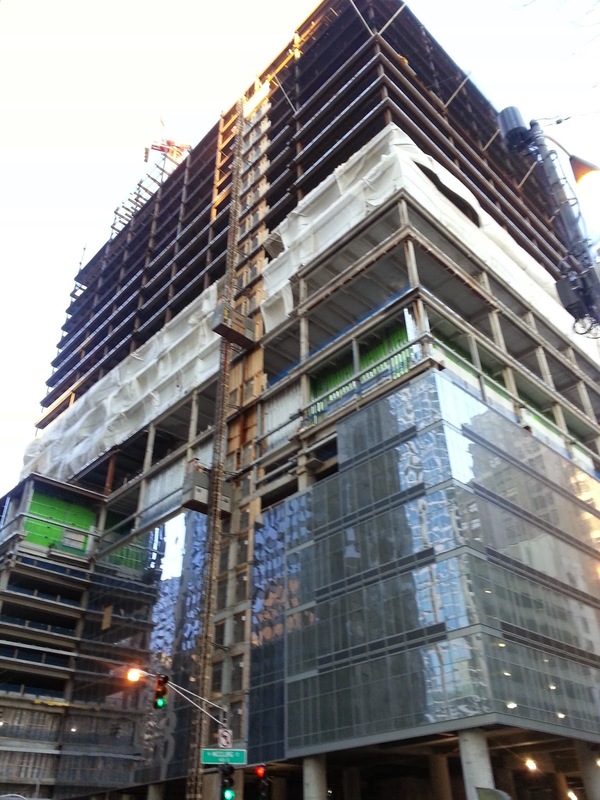 Large commercial and residential new construction from Streeterville to South Loop has been booming throughout 2014. 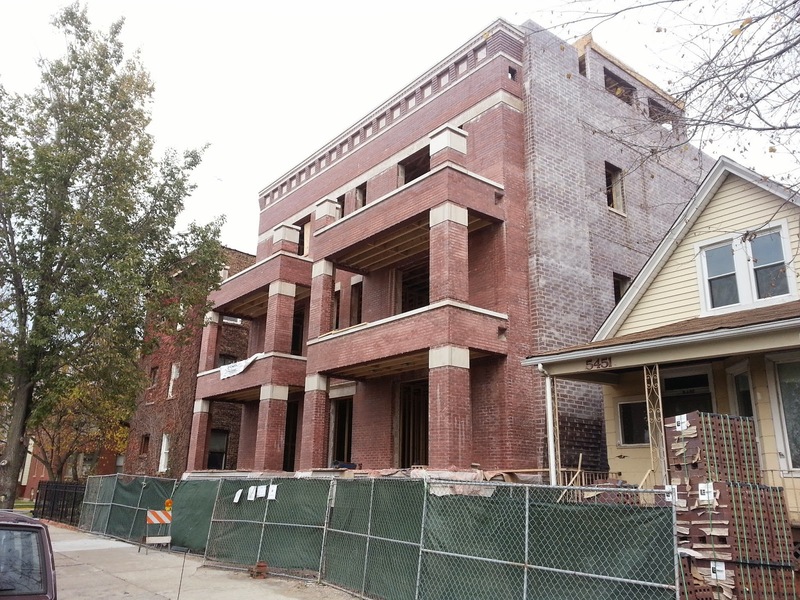 The Lycée Français de Chicago in Ravenswood is coming along. 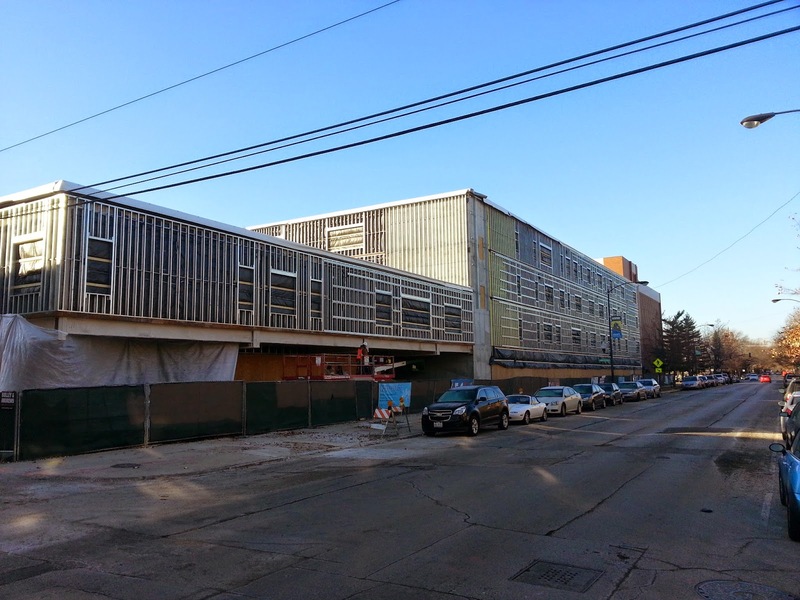 I shot this photo a couple weeks ago at 1929 West Wilson, Chicago IL 60640 showing the building skeleton enclosed. The school is scheduled to be open for the fall 2015 school year. Click here for some past photo posts. 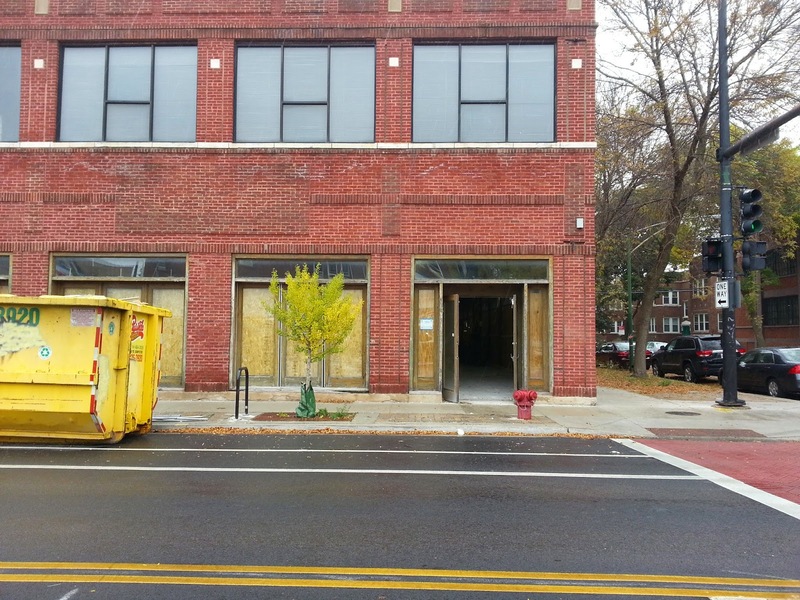 Friends, clients and neighbors often share their frustration with empty retail storefronts in otherwise prospering neighborhoods. The concern around empty retail storefronts and dilapidated mixed use buildings lining city corridors is a reoccurring theme. Many friends, neighbors and clients bring up "this or that" empty commercial space in conversation. 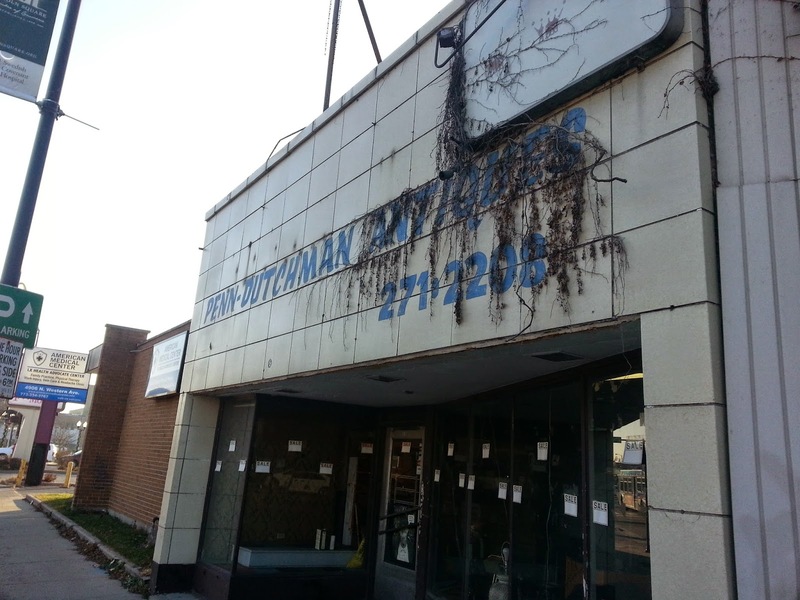 There are many reasons for vacant stores that range from absent or delinquent building owners to simple market realities. 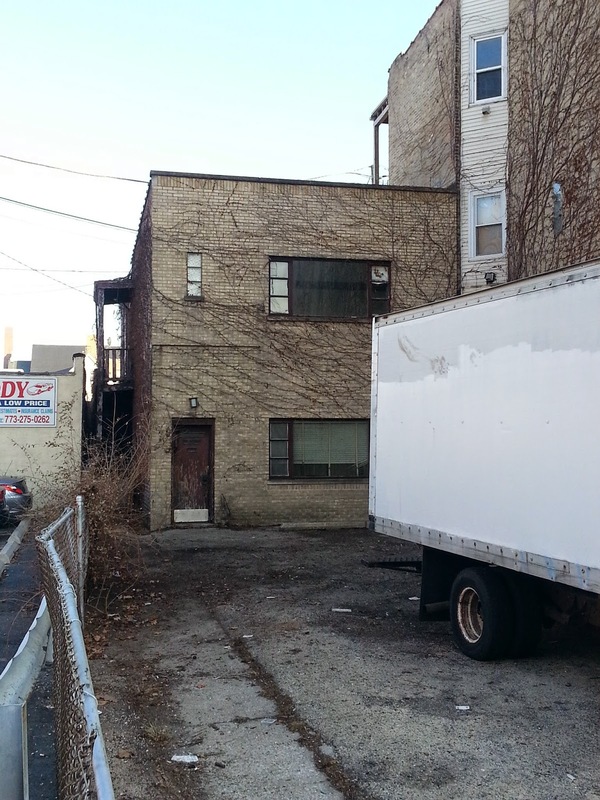 In some cases a space may be available to a business but is in bad physical shape. 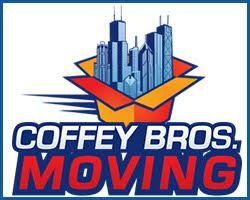 However some savvy Chicago business owners are identifying resources to acquire and improve their brick and mortar home. The Small Business Improvement Fund by non-profit SomerCor is a unique small business loan that may help your business improve a space to fit your needs. The SBIF was recently brought to my attention when I asked local officials about some vacant retail. In the course of our daily real estate business we discover a lot of local funding opportunities for both business and neighborhood initiatives. Remember the Ravenswood Pub? In leaner and looser years I could be found there with some friends playing pool, throwing darts and eating free Sloppy Joes during Sunday football in the VFW style bar. The old Ravenswood Pub located at 5455 N Ravenswood Avenue Chicago, IL 60640 in Edgewater closed in 2012. Condos rise on the property. There goes the neighborhood! I took this photo above for the many mates who have sat around the circle bar at Ravenswood Pub in the late 90s and early 2000s. The old one story frame structure was torn down making way for the ubiquitous red brick six unit condo building currently being built. I don't see a listing for the homes on or off the MLS as of yet. 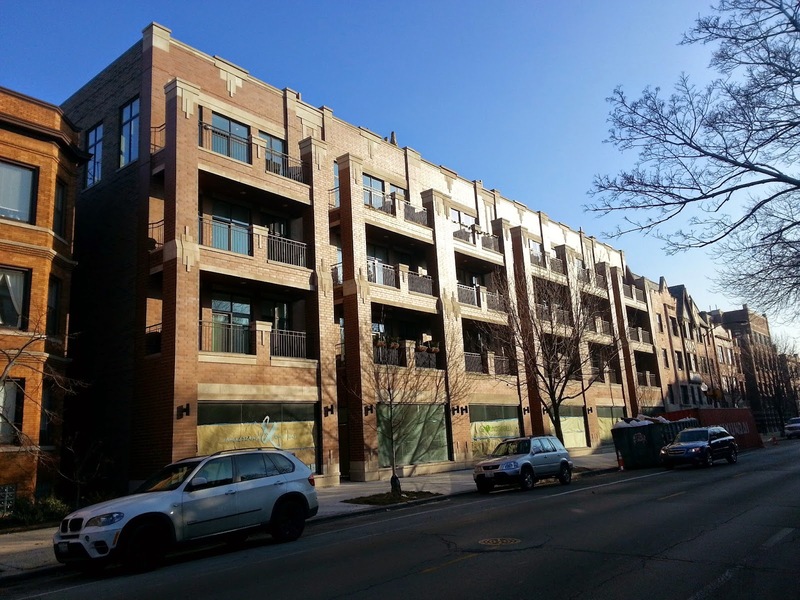 However, the "West Andersonville" location is very popular and new condos here will be in demand. 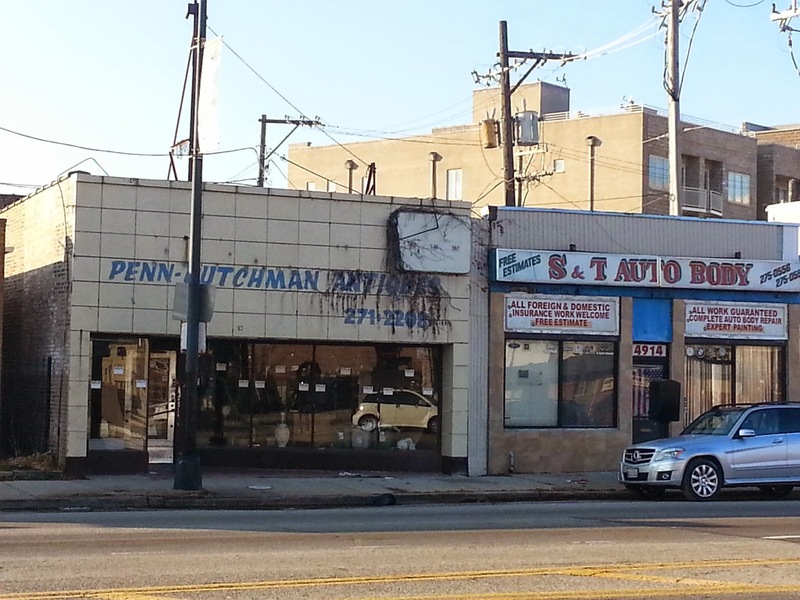 The property adjacent to the south looks poised to be "Phase II" of the development. 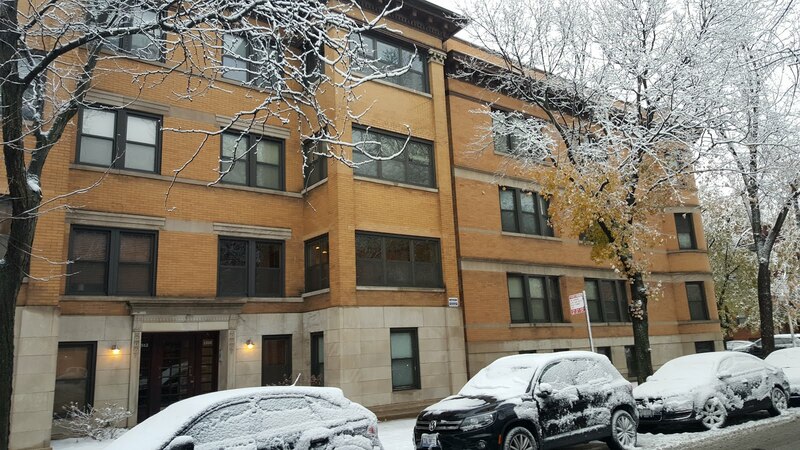 About 9 attached units have sold from 5200 North Ravenswood to 5600 North Ravenswood over the last two years with a median price of only $250,000. However, all the units were smaller, older re-sale units. 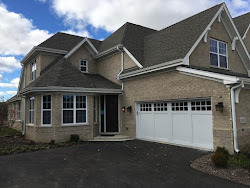 The new construction two beds/ two baths should sell over the $400,000 range. Our clients are interested in purchasing a house that needs renovations. 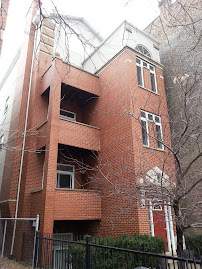 They'd like to use an FHA 203k renovation loan and sought the services of a 203k consultant. Sorry, this has got to go! Last week we met at the prospective house with Dominic Valenti an FHA HUD Consultant & 203k certified contractor. 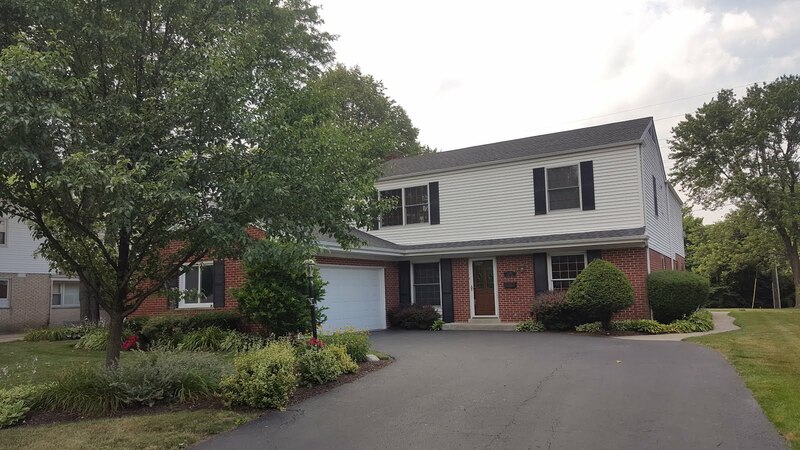 The consultant felt the scope of the renovation needed and the construction budget the buyers could borrow using the FHA 203k loan were compatible. He helps the client manage the process of working with a certified contractor and the FHA lender (preparing the required documentation to each party and process involved). My role was to basically gauge what renovations would make sense for this particular market considering their budget. The first time home buyers have a very realistic view of what would be in store should they move ahead with a purchasing the home using a 203k renovation loan. 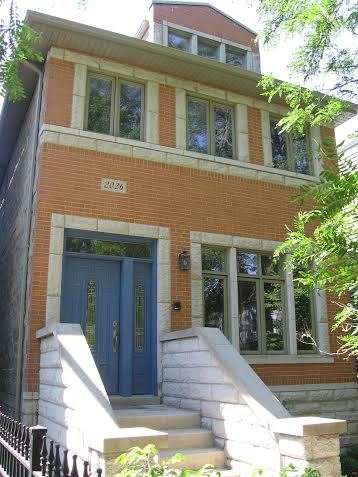 Our latest listing has gone under contract in less than a week. 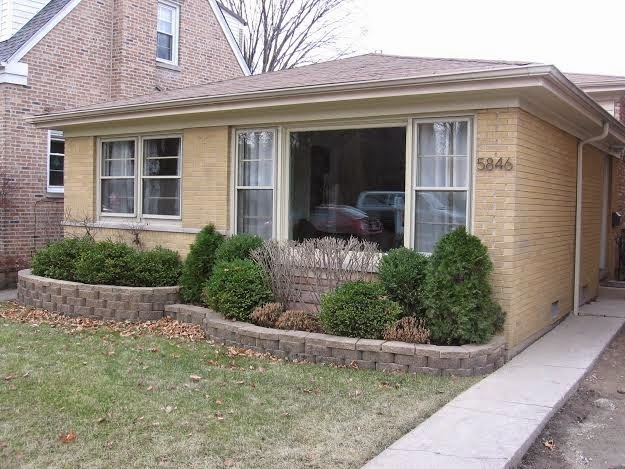 1949 W Foster #1, Chicago IL 60640 is a short-sale that had been on the market for some time. Two buyers backed out previously for reasons no fault of the sellers or lender. 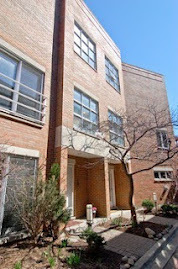 However, the unit needed work to secure a solid motivated buyer who would close this deal. Professionally painted! 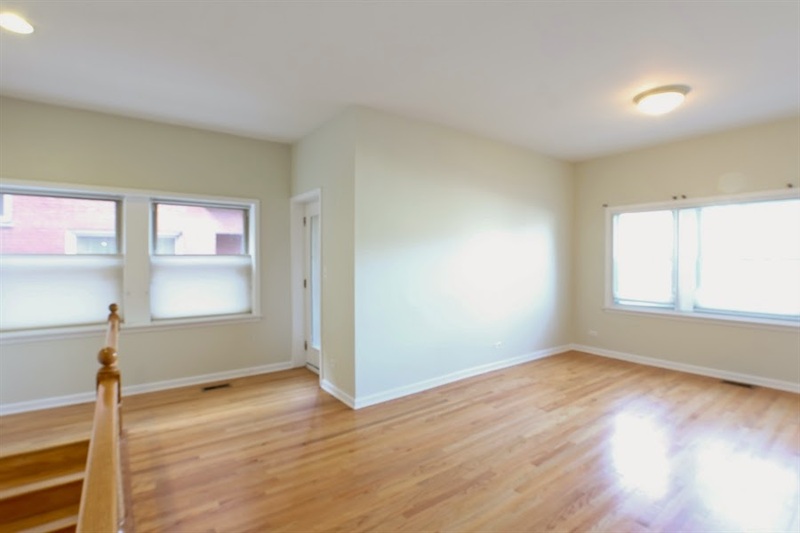 Bright living and dining spaces on the main floor. The home was in over-all good condition but needed a paint job to really show well. The condo had multiple colors that were painted many years ago. There were some minor repair patches and dings left behind. 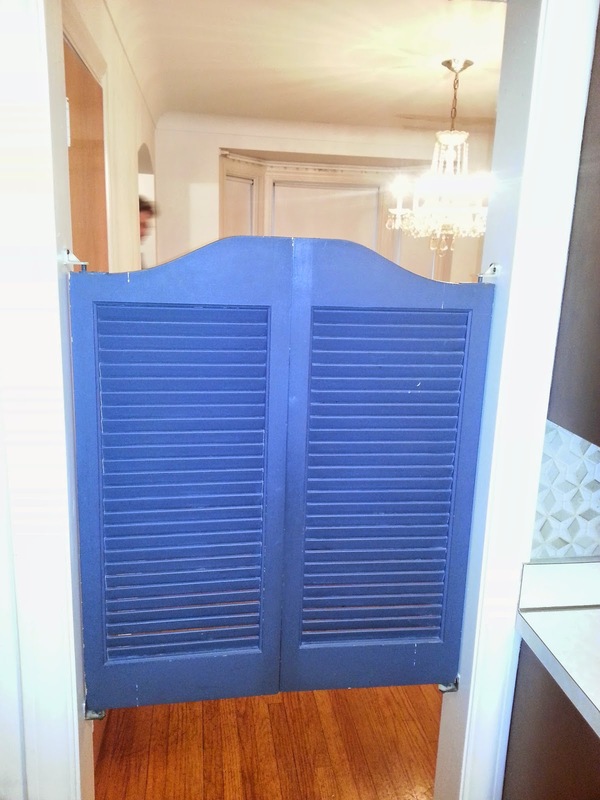 We chose a modern off-white color to be painted throughout the entire home. 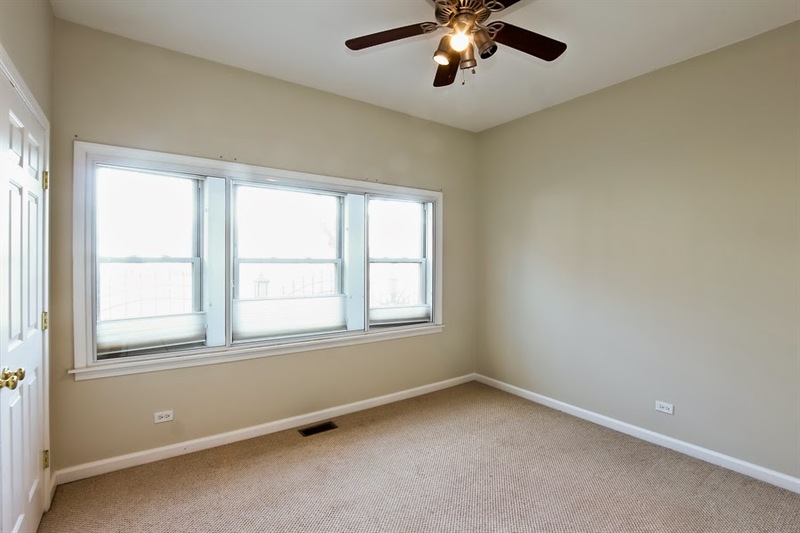 The one contiguous color brightened the home and makes it seem even more spacious. It looks new and fresh rather than tired and distressed. A huge family room offers very flexible living space. 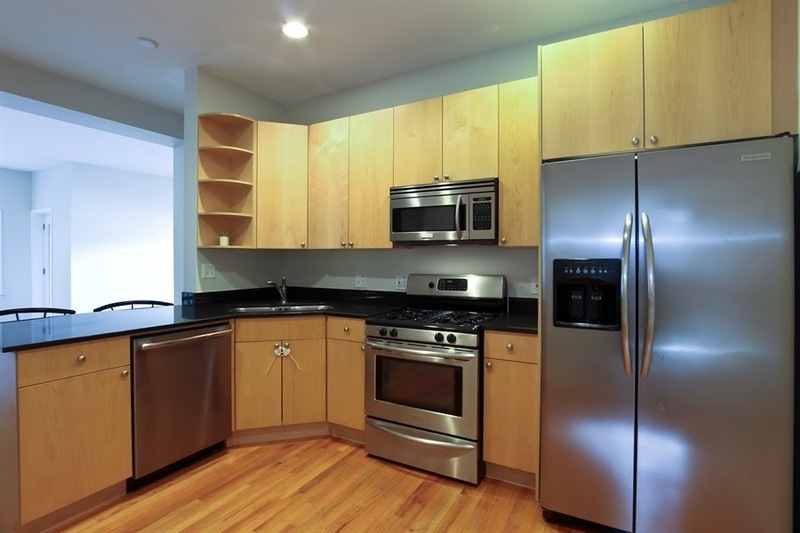 The kitchen had a dark color previously that made it look more separated from the living areas. We used the same light color to open up the space and get better flow to the living room. We this was a solid market price purchase offer with a buyer able to close the deal. 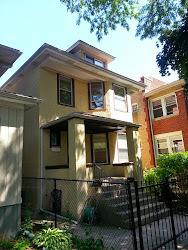 The home purchase offer was executed by the sellers and is now with the seller's lender. The seller's attorney and the lender now have to negotiate the final terms if a sale will happen. If you may need to short sell your house or looking to buy a home please contact us. We can evaluate the situation and help you move forward with a plan. 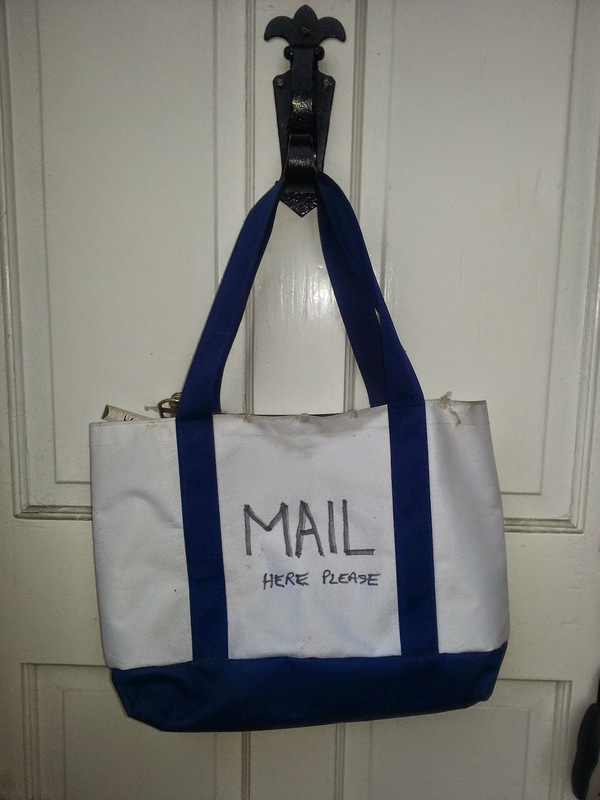 Sustainable mailbox. Reuse as shopping tote. 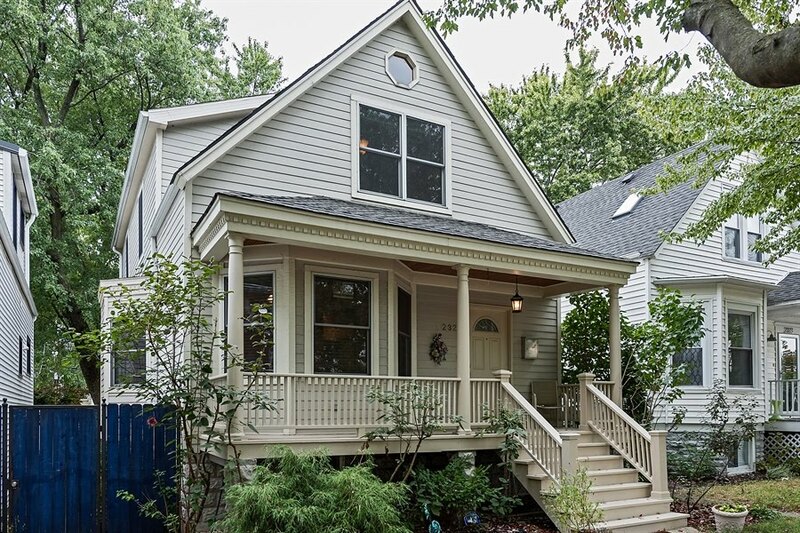 Homes in the Edgebrook neighborhood of greater Forest Glen (All photos Eric Rojas, Broker, Kale Realty). Despite the December holiday season in full swing real estate activity forges ahead. 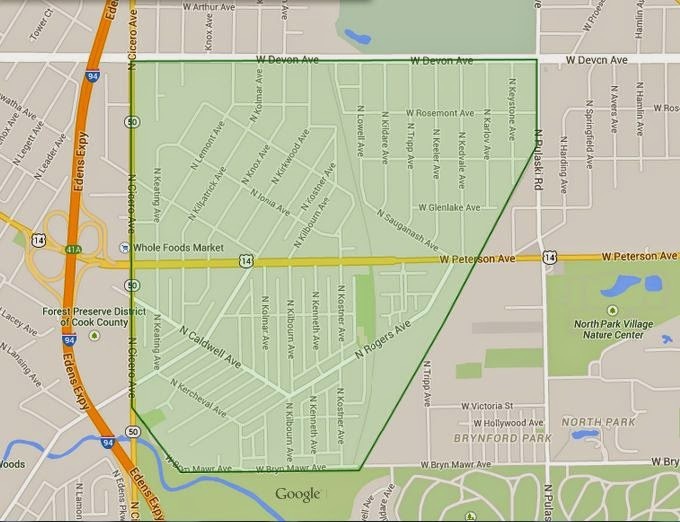 We have been working with another client in the greater Forest Glen community area. 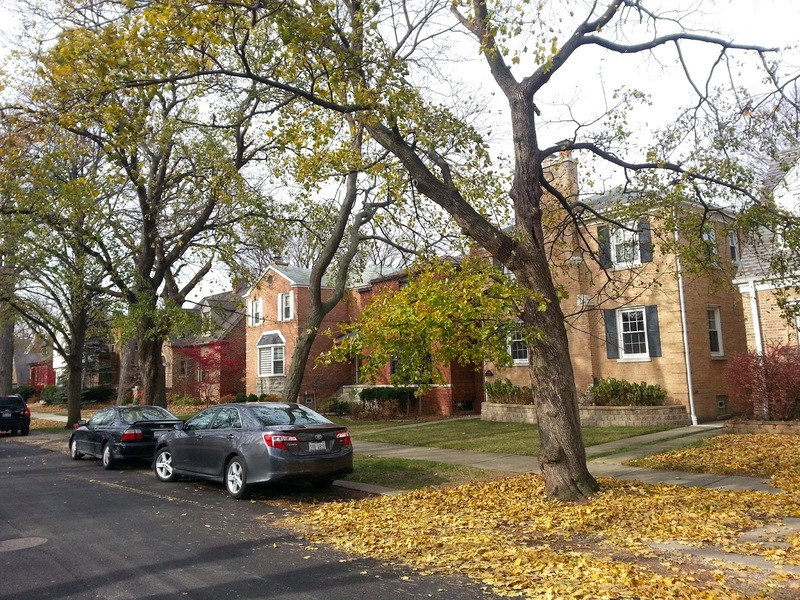 They'd like to buy a house in the Edgebrook or Sauganash neighborhoods of Forest Glen. 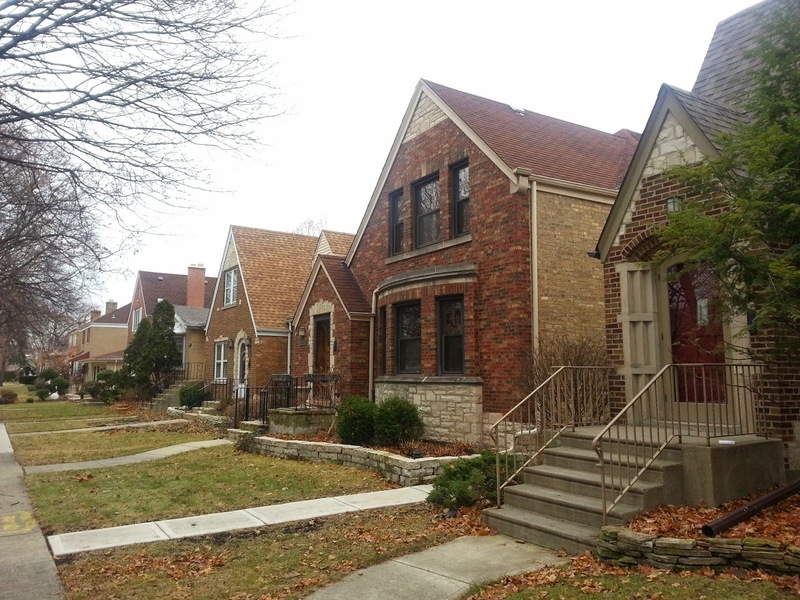 The Edgebrook and Sauganash neighborhoods are serviced by two desirable name sake elementary schools; Edgebrook Elementary and Sauganash Elementary. Wildwood Elementary is another well rated and popular school that services the southwest area of Forest Glen. 203 homes have sold in Forest Glen by December 10th in 2014. Median price for a house is about $407,500. Unit sales for houses area are off last year's 248 units sold same period 2013. However, median price ticked up slightly. This mirrors many Chicago neighborhoods that showed tighter inventory and steady or increased median prices. 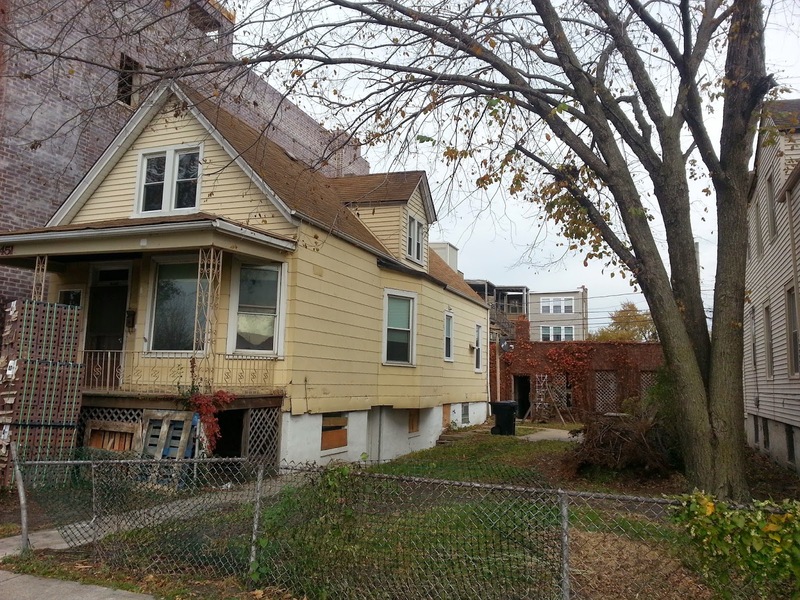 The lowest sold house is 5034 W Carmen, Chicago 60630 for $156,100 cash in a foreclosure sale. The small frame home may be a tear down or complete gut rehab. 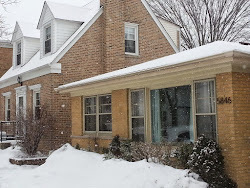 The house is located in a small pocket of Forest Glen near West Foster and North Cicero close to the Jefferson Park area. 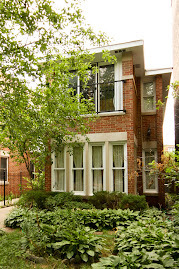 The highest sale this year is 6141 N Lemont, Chicago 60646 for $915,000 in the Sauganash neighborhood. 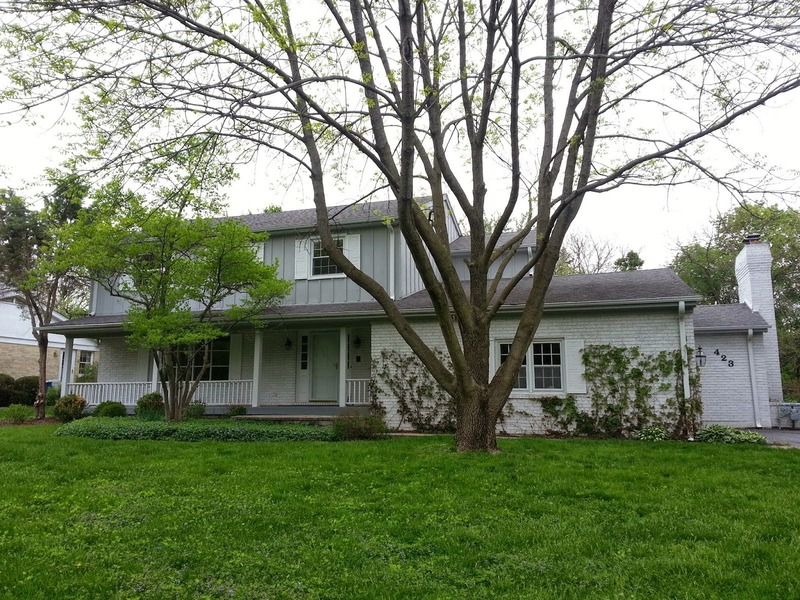 The large ranch home on a huge 125'x124' lot was purchased by Misericordia Home. What's up with the Smart Home at Museum of Science and Industry? The Smart Home exhibit (pictured above) at the Museum of Science and Industry in Chicago was a popular attraction from roughly May 2008 to January 2013. It has been closed since. After taking this photo I wondered if the exhibit will open again and what might happen to the house otherwise. I received an email response from the Museum stating there are "no current plans to reactivate the Smart Home exhibit". We'll wait and see the fate of the Smart Home. In the meantime here's an interesting story on the Smart Home written in 2012 from Lake Shore Magazine. 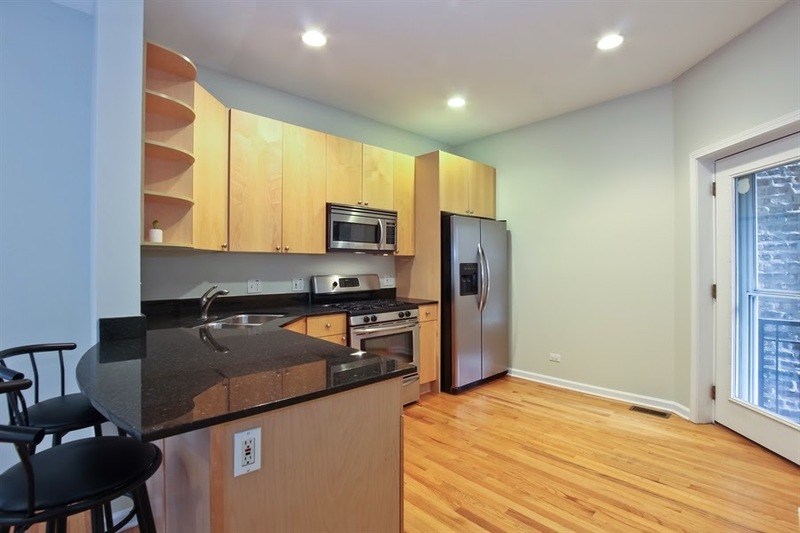 Take our video walk-through of our new listing at 1949 W Foster #1 in Ravenswood. 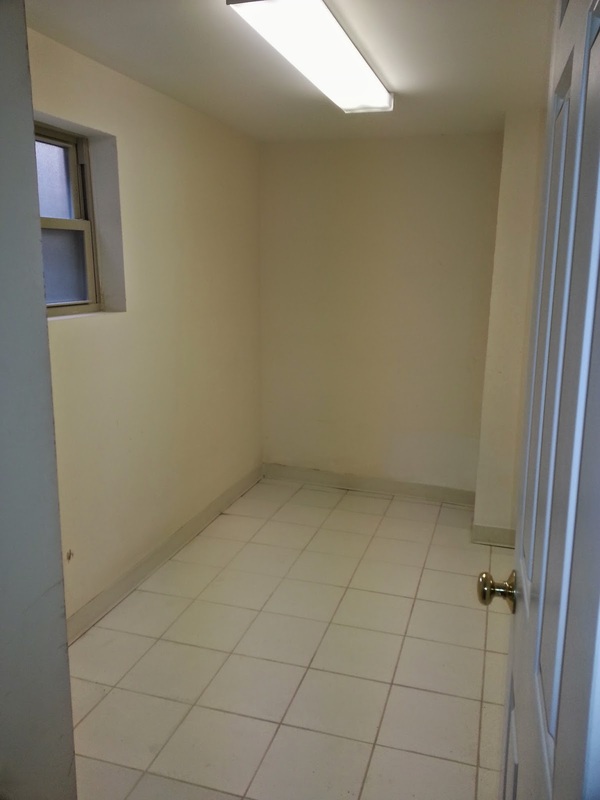 The large three bedrooms, two baths home has just been painted and shows great. 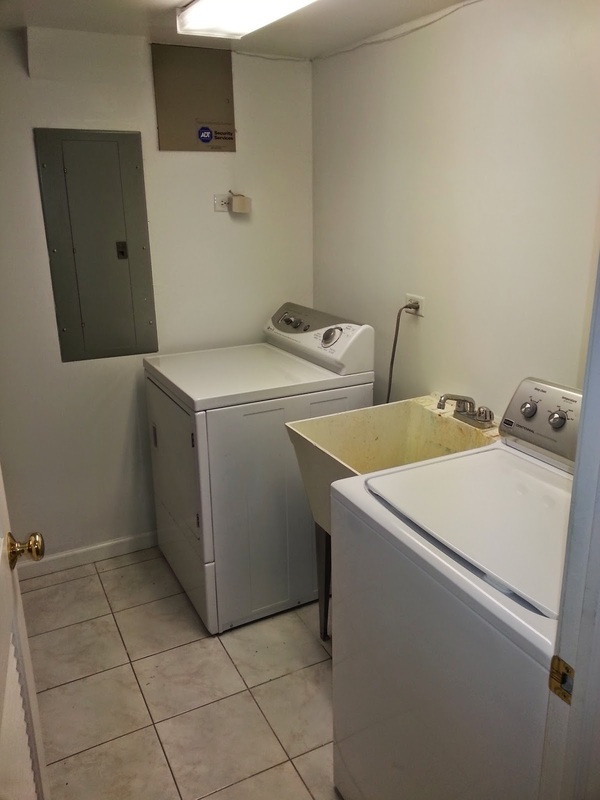 Parking, interior storage, laundry room, central air/ heat, flexible floor plan and nice deck. The home is priced low for a short-sale at $299,900. Bright living and dining combo with good sized deck off the living space. Kitchen with eat-in or island area. Breakfast bar opens to living room. Additional outdoor space is off the kitchen. 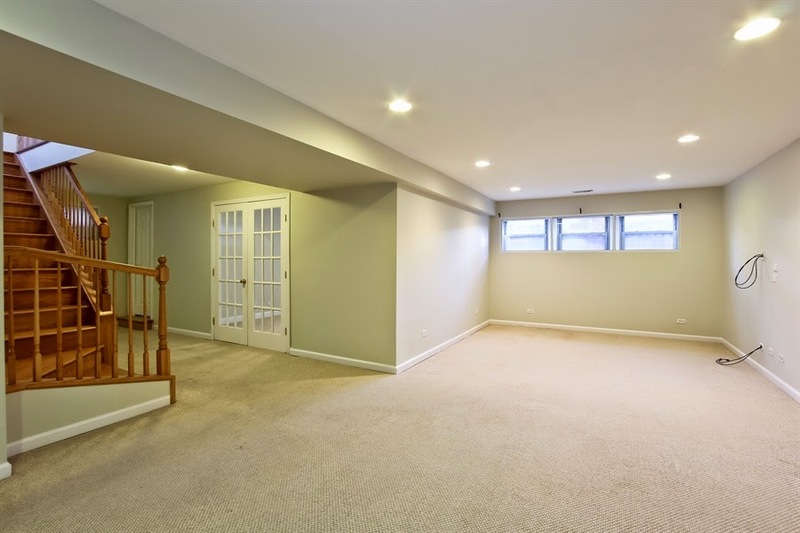 Fantastic lower level with bedroom, family room, laundry room, office or play area and interior storage room. Lower bedroom with organized closet. Nice front deck off the living area. 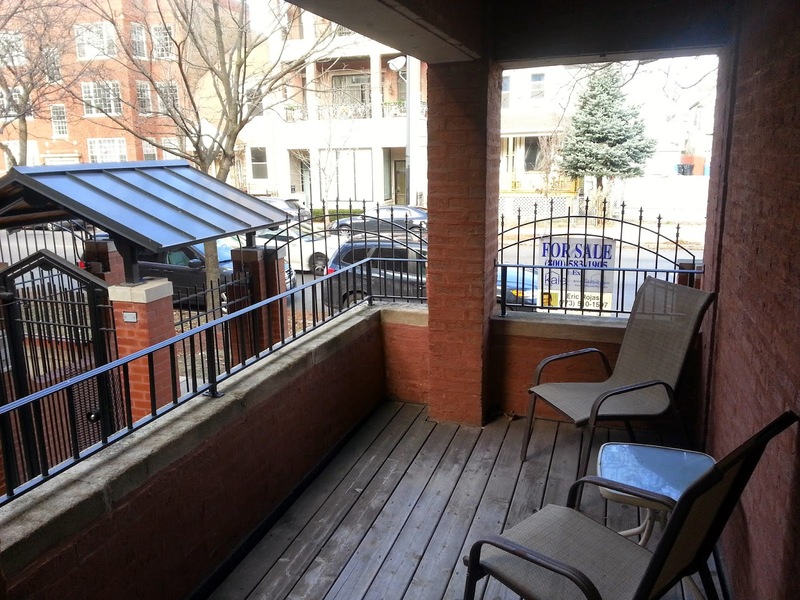 The condo is located in the booming Ravenswood neighborhood of Lincoln Square. 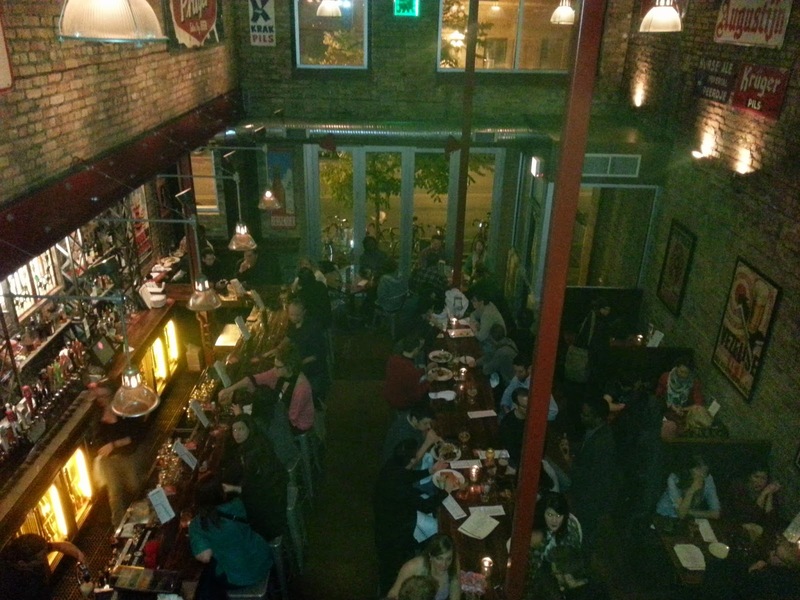 It's a short four block walk to the heart of awesome Andersonville dining and shopping. The home sits between two major grocery stores including the uber-popular new Mariano's and LA Fitness development. My wife and I (and now our family) have now lived in this location for 10 years. Housing here is a great value. There is a ridiculous amount of things to do for all ages. Shopping, dining, parking, groceries, public transportation, great parks and schools are all convenient. 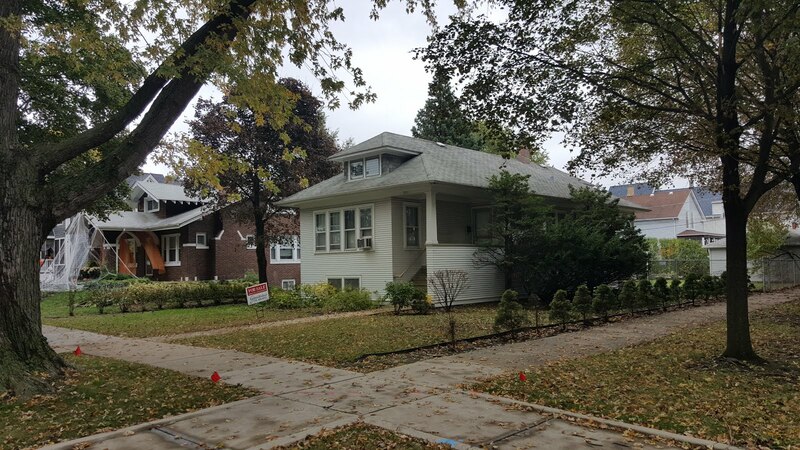 1949 W Foster #1 is huge finished space in this neighborhood for the money. 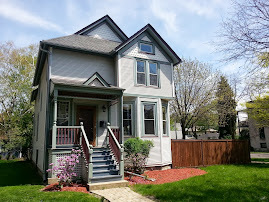 The seller has lender approval for short sale. Response times are good for solid offers. 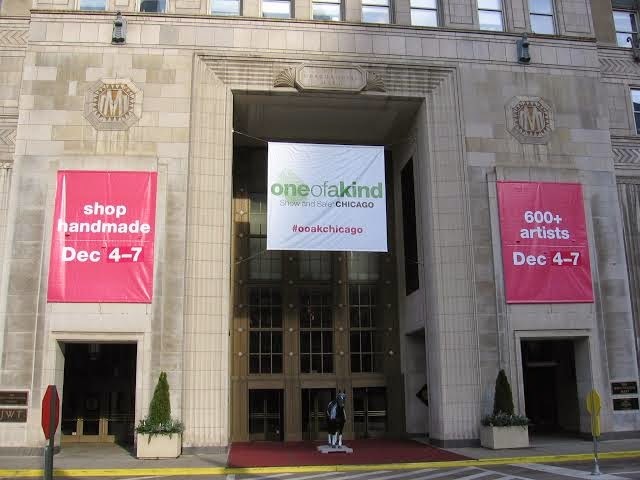 One of a Kind Show and Sale at Merchandise Mart this week! 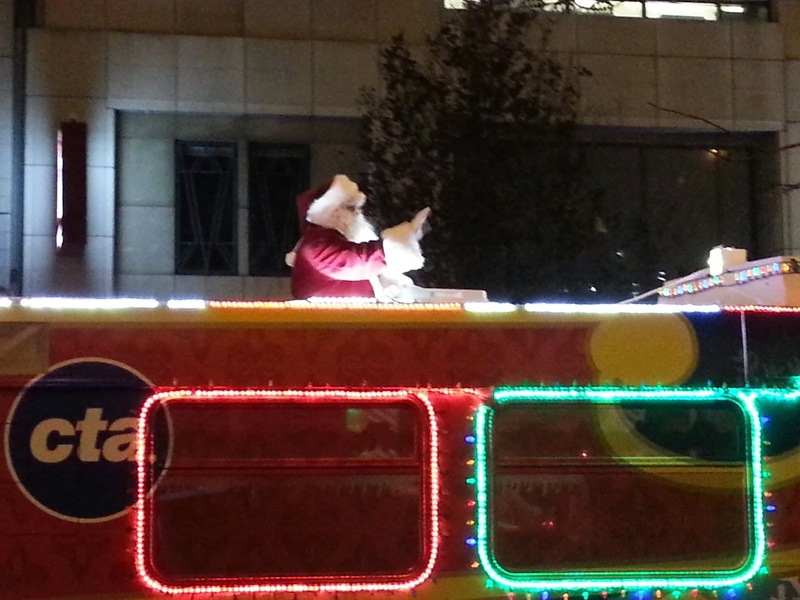 Christmas and the Holidays means many annual shows and events. One of Bob's favorites is this week. 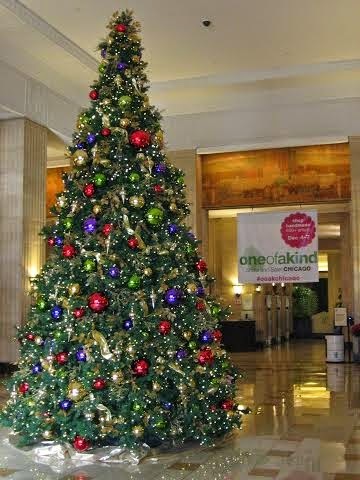 One of a Kind Show and Sale at the Merchandise Mart 222 W Merchandise Mart Plaza, Chicago, IL 60654 runs Thursday December 4th through Sunday December 7th this week. 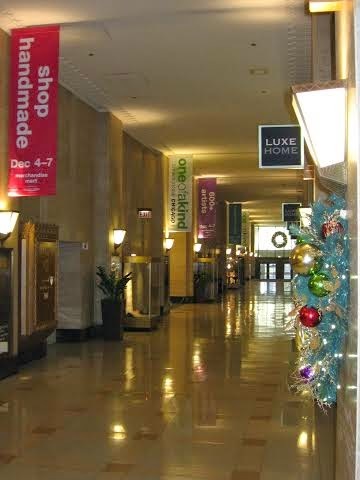 Additionally, while you're at the Mart, check out all the home improvement and design stores on floors 1 and 2...open to the public. We see good deals this time of year.